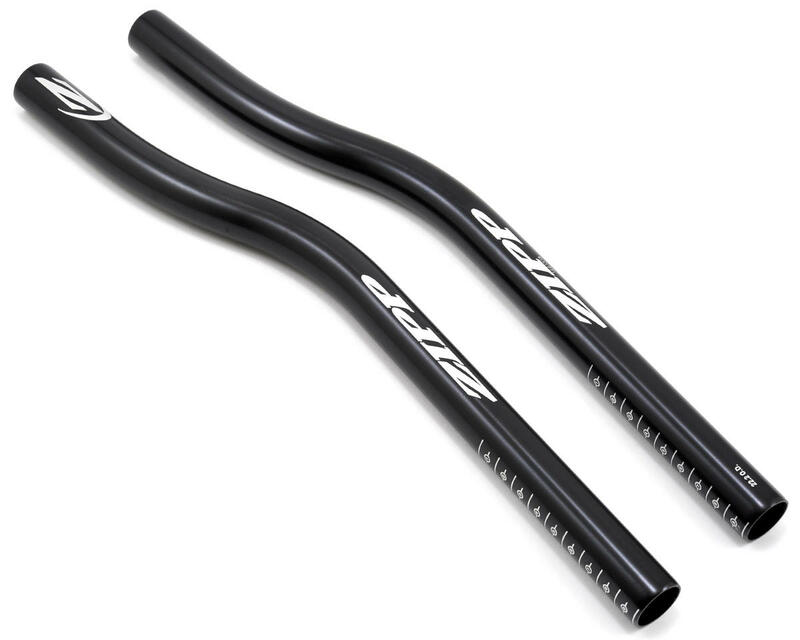 This is a pair of Zipp Vuka Alumina Aerobar extensions. 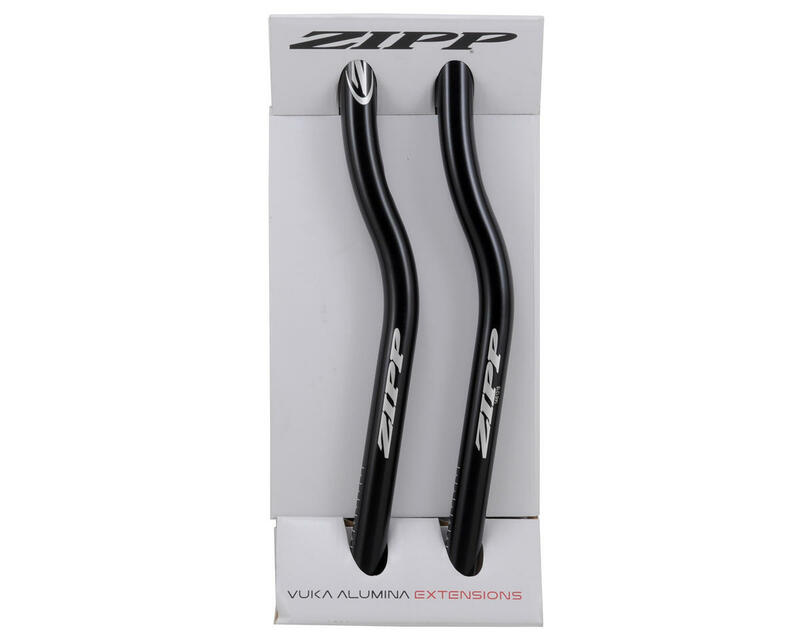 Zipp’s Alumina Vuka Extensions give you all the options needed to optimize your aero position and go for the win or your personal best. Vuka Alumina Extensions come with an industry-standard 22.2 mm diameter, are compatible with the Vuka Alumina Clip but not the VukaClip or VukaAero. Both extension styles have a length of 360mm and have sleek internal cable routing. They are compatible with all shifting systems. The Vuka Alumina Race was designed using data compiled from thousands of fit sessions with recreational and professional cyclists and triathletes by the world’s best fitters. The Vuka Race bend places the wrists at a more natural bend to help riders remain in their tuck to optimize aerodynamics. 175 grams.